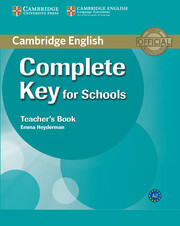 This Teacher's Book contains detailed teacher's notes with advice on classroom procedure and extra teaching ideas, along with a full answer key for the Student's Book. 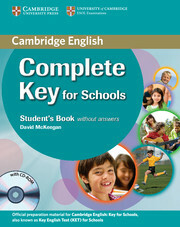 It also includes extra photocopiable resources with progress tests and printable wordlists available online. There is a full practice test to give students exam experience.